The ongoing diplomatic dispute between Malaysia and North Korea, triggered by the brutal, brazen and bizarre assassination of Kim Jong-nam at Kuala Lumpur's main airport on 13 February, is something of a rarity in international relations. It is not often that two smallish, distant states, both members of the non-aligned movement, suddenly find themselves on the cusp of a full-scale diplomatic rupture. Then again, it's not every day that a murder is carried out in broad daylight by means of a highly toxic nerve agent in a busy international airport. To recap thus far, only the Vietnamese and Indonesian women directly implicated in the attack have been charged. Despite a welter of speculation, no evidence has directly implicated North Korean leader Kim Jong Un in the death of his half-brother. The motivation and especially the timing of the attack remain a matter for conjecture. But the finger of state complicity points squarely at North Korea – if not Kim Jong-un himself, then at least implicating state-security organs and operatives with the organisational skills and access required to conduct such an elaborate attack. Seven North Korean nationals are being sought by Malaysian police in connection with the murder. Four individuals, likely to have orchestrated and witnessed the attack, flew out of Kuala Lumpur immediately afterwards, arriving in Pyongyang via Dubai and Russia, in an apparent effort to bypass China. Kim Jong-nam resided in Macau and was therefore under the implicit protection of the Chinese state. The other three North Koreans wanted for questioning are believed to be holed up in the DPRK embassy in Kuala Lumpur – nervous agents of another kind. North Korea's Ambassador Kang Chol was sent home on 6 March, declared persona non grata after Kuala Lumpur lost patience with his accumulated slurs against the Malaysian authorities and repeated demands to hand over Kim Jong-nam's body (the presumed target, moreover, of an unsuccessful post-post mortem mortuary break-in). He also stonily rebuffed Malaysia's requests to hand over North Koreans in his custody. 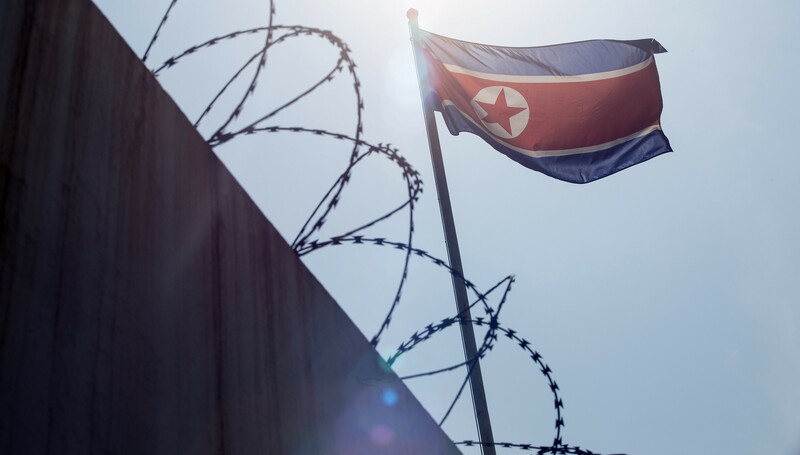 The following day, Pyongyang retaliated against the expulsion of its Ambassador by barring the 11 Malaysian citizens in North Korea from leaving. This was a significant escalation and a blatant transgression of the Vienna Convention. Within hours, Kuala Lumpur had retaliated in kind, cordoning off the North Korean Embassy. Prime Minister Najib Razak issued a strongly worded statement accusing Pyongyang of 'effectively holding our citizens hostage' and promising 'all necessary measures' to secure their release. Malaysia has also rescinded the visa-free travel status that North Koreans have enjoyed since 2000. Though the crisis continues, it may already have peaked in intensity. While nine Malaysian citizens remain trapped in Pyongyang, two Malaysian UN employees have since been allowed to depart. A reciprocal ban on North Koreans leaving Malaysia remains in place, but cordons around the DPRK embassy have been lifted and bilateral negotiations are continuing. A diplomatic row that unfolded rapidly and acrimoniously in full public glare is likely to slip out of the spotlight into the shadowy world of back channels and third-party facilitation. Meanwhile, revelations about the extent of North Korea's activities in Malaysia continue to emerge. Several observations can be made about what the diplomatic spat has revealed so far. On the North Korean side, it is likely that Ambassador Kang was aware of Kim Jong-nam's visits to Malaysia but had only the sketchiest knowledge about any assassination plot. The North Korean system is too stove-piped and secretive for that. Subsequently, for sure, he would have been under strict instructions from Pyongyang to obtain and repatriate the body of the deceased to Pyongyang. Kang had to publicly agitate for this as an urgent priority, while maintaining the patent falsehood that Kim Jong-nam had died of natural causes (even after surveillance video of the attack had been released). Knowing that his career and probably his liberty were on the line, Kang's safest option was to escalate the dispute in order to demonstrate his loyalty. He would not be the first ambassador to lie for his country, but this escalatory dynamic is best understood as a consequence of North Korea's Orwellian 'internal contradictions' rather than his personal shortcomings as a diplomat. Put simply, the Ambassador's displays of public anger were primarily about saving his own skin. Does it matter that the killing of Kim Jong-nam and North Korea's thuggish behaviour towards Malaysia have worsened Pyongyang's reputation as a feral pariah? It matters less in the West, where sanctions are fully extended. But the spectacle of North Korea bullying a similar-sized Asian country could have an impact where it matters most: within the non-aligned cohort. North Korea cannot claim to be underdog in this fight. Indeed, the episode should trigger alarms for other neutrals concerned about the potential for North Korean skullduggery on their turf. Malaysia itself would have done better to recall the 1983 bombing of South Korea's cabinet in Rangoon before granting North Korea visa-free access. The strength of the Malaysian response, although plainly excessive in breaching the Vienna Convention, offers a hopeful sign that Kuala Lumpur has been belatedly shocked out of its complacency. Since visa-free entry was extended, Malaysia has become a key economic hub for North Korea, including remittances from labourers in construction and mining, numbering perhaps thousands at their peak (I once stumbled upon a North Korean construction team on holiday at a resort hotel in Sarawak). A laissez-faire attitude also enabled unscrupulous, well-connected Malaysians to profit by selling military hardware to Pyongyang, as recently exposed by the Glocom scandal. Malaysia has previously cooperated with Western governments to thwart the export of illicit goods, but never to the extent of uprooting North Korean networks taking advantage of the country as an operating base. According to the Deputy Prime Minister, 315 North Koreans currently remain. A surprisingly high total of 193 North Koreans are supposedly registered in the Malaysia My Second Home Program, although this figure needs to be verified. One observer attributes Malaysia's robust official reaction to the application of public relations lessons learned from the ineffectual response to the MH-370 episode, when China put Malaysia under intense pressure. Politics is surely part of the explanation too. Prime Minister Najib faces an election later this year and North Korea's chest-thumping since Kim Jong Nam's killing provides a perfect sounding board for toughness. It is undoubtedly less risky than standing up to China. In fact, by offering its good graces, China potentially stands to gain from Najib's professed interest in a 'quick solution' to the diplomatic standoff with Pyongyang. The Prime Minister may feel a domestic political imperative to cut a swift deal to secure the release of the remaining Malaysians in North Korea, in exchange for allowing some North Koreans through Malaysia's legal dragnet. By offering its services, Beijing has an opportunity to increase its stockpile of leverage over Najib – always a handy strategic resource in the South China Sea. And having backed itself into corner with an unusually strident Kuala Lumpur, even Pyongyang may be reluctantly forced to engage China as the best bet of cutting its losses on another broken friendship.